An extraordinary event is expected this week – the standard of 1 kg mass, otherwise called the international prototype kilogram (IPK), which has been stored since 1879 at the International Bureau of Weights and Measures (Bureau International des Poids et Mesures, BIPM) in Sevres, near Paris, will be withdrawn. The international prototype kilogram (a cylinder made of an alloy of the noble metals – platinum and iridium) has been known all over the world as the primary mass standard, to which all the national mass standards have been compared. Such a decision is to be approved in Versailles at the 26-th meeting of the General Conference Weights and Measures (Conférence Générale des Poids et Mesures, CGPM), which takes place on November 13 – 16. At this conference, Lithuania is represented by scientists of the state research institute Center for Physical Sciences and Technology, which is implementing the functions of the Lithuanian national metrology institute. 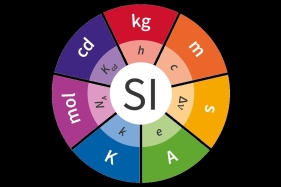 At an open session of the 26-th meeting of CGPM, on November 16, the kilogram and the three more main units of SI (Système International d'Unités) – the ampere, the kelvin, and the mole – will be redefined in terms of physical constants, whereas the definitions of the remaining main units of SI – the second, the metre, and the candela – will not be changed. In a similar way, in 1960, the prototype of the standard of metre – a metal rod – was replaced with the “optical metre” and related to the wavelength of the light emitted by inert gas krypton, while the second, previously related to the duration of the tropical year, in 1967 was redefined to be related to the frequency of the radiation of the caesium 133 atom. The historical reform of the SI system, known as the metric system, is carried out after a careful long-term work by scientists, which was aimed at determining the universal constants with the highest precision possible. The new definitions allow realization of the values of units by the national metrology institutes and designated laboratories using more different technologies, including those suitable for space applications. Live webcast in Lithuania: National Center for Physical Sciences and Technology (Saulėtekio av. 3, Vilnius). Conference Room A101. Start of webcast: 11:50 (local time).